Has The Floating Data Center Finally Arrived? You are here: Home / Design / Has the Floating Data Center Finally Arrived? When it comes to California’s water crisis, a data center startup has an innovative solution. Rather than bringing tens of thousands of gallons of water to the data center, they’re bringing the data center to the water. Nautilus Data Technologies says it has successfully tested a design for a floating data center that can dramatically slash the cost of running IT operations. The company has built a prototype “data barge” moored at Mare Island in Vallejo, Calif., about 20 miles north of San Francisco, and says it expects to have a production data center online by the end of 2015. Nautilus is the latest company to pursue a water-based data center, a novel concept that has made headlines since Google first floated the idea in a 2007 patent filing. Industry experts have debated whether the idea is sheer brilliance or total madness, but several efforts to launch a commercial data barge have fizzled. By building a working proof-of-concept, Nautilus has brought the idea closer to reality than previous efforts. The company is convinced that a floating data barge can offer extraordinary economics, slashing infrastructure costs by cooling servers with water from the bay. “We’ve developed a way to use the natural body of water we’re sitting on to cool the data center,” said Arnold Magcale, the CEO and co-founder of Nautilus Data, who said the design allows it slash costs by as much as 40 percent by eliminating traditional cooling equipment like CRAC units and chillers. As the company builds its first production vessel, Magcale and his team are ready to test the big question: Are customers ready to house their mission-critical IT equipment on a barge floating on the water? Nautilus believes it is offering a timely solution to a particular problem in the California market. After four years of drought, the state has declared a drought State of Emergency, and is implementing measures to reduce water usage. Thus far there has been no effort to reign in water use by the state’s data centers, but the issue has drawn media scrutiny in the Wall Street Journal and Forbes. It’s been eight years since the data center world was captivated by Google’s patent for a water-based data center, stirring visions of a fleet of futuristic offshore data havens powered and cooled by the waves. 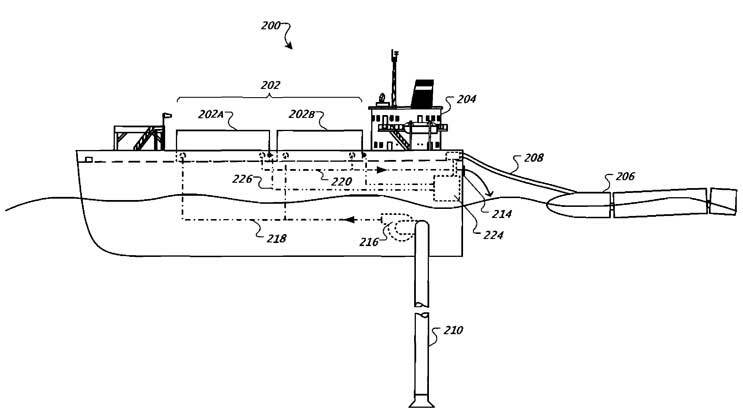 The company has never built the sea-going “Google Navy” described in its patents (alas, the company’s 2013 “mystery barge” turned out to be a PR initiative), but several other companies have pursued the floating data center concept. That includes International Data Security (IDS), which spent three years trying to develop data ships that would house modular data centers. IDS was headed by Richard Naughton, a former Navy admiral with extensive experience with on-board IT. But the company struggled to find funding, and filed for bankruptcy after Naughton passed away in 2011. Running IT operations on ships is not new. The U.S. Navy has maintained sophisticated telecom and IT infrastructure on its fighting ships for decades. Major cruise lines also incorporate advanced technology into their newest mega-ships. Both the Navy and cruise lines are sea-going enterprises, and thus have no choice about whether to operate technology on floating vessels. 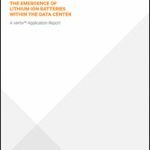 The same is not true of enterprise data center companies, who have a wide variety of choices on the type and location of their data center. For many customers, housing data and equipment aboard a barge – even the most water-tight of barges – introduces a risk of water damage that isn’t found in other commercial data centers. Magcale, the CEO of Nautilus, worked with Naughton on the IDS initiative, and believed it could work with modifications. He shifted his focus to vessels moored at major ports. 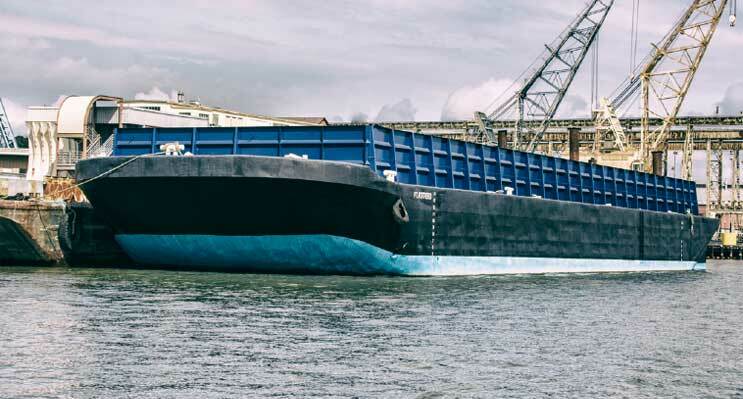 Nautilus has partnered with a marine shipbuilder to tap an ample supply of barges. Magcale said the company just completed a Series B financing, with primary backing from an individual investor in the green energy field. The primary advantage of a floating data center is the ability to slash costs by using water to power or cool the data center, and avoiding the expense of real estate and property taxes. The original Google patent describes using the motion of ocean surface waves to create electricity, and a cooling system based on sea-powered pumps and seawater-to-freshwater heat exchangers. 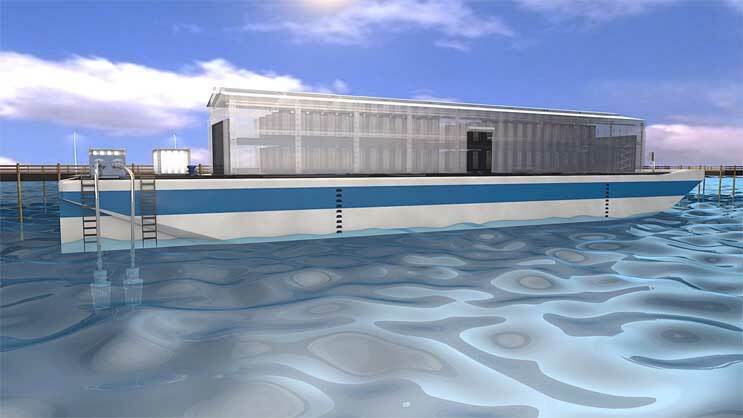 The concept envisioned floating data centers located 3 to 7 miles out at sea. An illustration from Google’s patent for a sea-going data center, with water intake below the vessel and power-generating turbines deployed on the surface. The Nautilus design differs from Google’s approach by mooring the barges at a pier, which eliminates the ability to harness wave power for electricity. The IT equipment is housed inside modular data halls on the deck, with servers in racks with rear-door cooling units. Mechanical and electrical equipment, including UPS units and cooling distribution units, are located below deck in a water-tight hold. The cooling system features two separate piping loops and a heat exchanger. Cool water from the bay enters through an intake several feet below the barge, is filtered to remove fish and any other contaminants, and then moves to the heat exchanger. A fresh water cooling loop on the other side of the heat exchanger feeds the water-cooled rear-door systems on the racks. The intake system uses copper plating and titanium piping to limit the impact of salt water on equipment. Nautilus says it has worked closely with the Navy to address the humidity and condensation issues that arise on a floating vessel. Daniel Kekai, the co-founder and Data Center Architect for Nautilus, says the cooling system worked smoothly in the company’s proof-of-concept at Mare Island, with water being returned to the bay at temperatures within 4 degrees of the intake temperature, reducing any environmental impact on the San Pablo Bay or nearby Napa River. Kekai says the test was performed on board the floating data barge, which featured five racks of IT gear and load banks that simulated power densities of up to 32kW per rack, and yielded a Power Usage Effectiveness (PUE) of 1.045. PUE is the leading measure of a facility’s energy efficiency. The proof-of-concept featured equipment from the U.S. Navy, Applied Materials and Veolia, and was validated by Jacobs Engineering and Critical Engineering Group. Magcale says Nautilus will deploy its first production data center on a barge that will be moored at an unidentifed port in the Bay Area. He projects that it will be complete by year-end, and says Nautilus will be able to deploy new data barges in about six months. Each barge will support 8 megawatts of IT load, and each location will support up to five data barges. Since the company is using a modular approach, capacity can be deployed in 1 megawatt units. While Nautilus is distinctive for its use of floating data centers, the company has also developed in-house software for cloud orchestration and data center infrastructure management (DCIM). Customers have the option of using Nautilus software or their own choice. Magcale says Nautilus can build data center capacity at less than $3 million per megawatt. “We’re saving a lot of infrastructure,” he said. Suchan says the company has begun its sales process, and has drawn interest from enterprise customers in the San Francisco area. For now, Nautilus must execute on the construction and delivery of its first data barge, and then seek to fill it with customers. 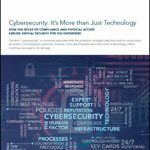 Many customers would probably not consider putting their IT equipment on the water, which narrows the pool of prospects. But today’s data center landscape features many types of non-traditional facilities, including subterranean data bunkers in caves and missile silos, all manner of modular and micro-modular designs, data halls in shopping malls, and enclosures with servers immersed in cooling fluid. Many of these concepts have found commercial success in these niches. Will the floating data center join their ranks? We’re about ready to find out. Great innovative thinking and particularly suitable for locations where real estate costs high and risk of flooding.as I believe the due diligence issues can be overcome. Sounds like a pretty awesome concept. I think this definitely would only work on the west coast though, which is fine in my opinion. I think getting big orgs to switch from land datacenters might be a bit of a challenge, but the cost savings should turn a few heads at the least. His co-founder Kekai, the company’s data center and cloud infrastructure architect, has had an internet-infrastructure career similar in length.